Amazon have admitted that Alexa does indeed listen to your private conversations, with a ‘small sample’ of clips being analysed by Amazon workers. 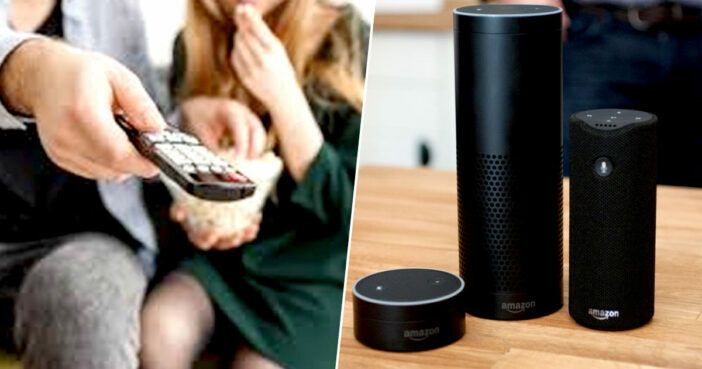 Amazon employs thousands of workers around the planet to listen to voice recordings captured in the homes and offices of Echo owners; transcribing and annotating before feeding back into the software. This process is intended to help improve the Alexa digital assistant, enhancing Alexa’s understanding of human speech as well as its ability to respond to commands. Workers have claimed they sometimes come across embarrassing clips a customer would not have wanted them to hear, such as a woman singing in the shower. They have also heard more disturbing recordings, such as a child screaming for help and a suspected sexual assault taking place. We only annotate an extremely small sample of Alexa voice recordings in order [to] improve the customer experience. For example, this information helps us train our speech recognition and natural language understanding systems, so Alexa can better understand your requests, and ensure the service works well for everyone. We have strict technical and operational safeguards, and have a zero tolerance policy for the abuse of our system. Employees do not have direct access to information that can identify the person or account as part of this workflow. All information is treated with high confidentiality and we use multi-factor authentication to restrict access, service encryption and audits of our control environment to protect it. Workers listening to these recordings have reported using internal chat rooms to share clips when they need assistance deciphering a muddled word, or when they encounter a recording they find amusing. Rapid advances in technology can be exciting, but the path ahead should not be forged by encroaching on the privacy of others and we need to expect more from corporations. Just a decade ago, consumers would have been left horrified by the prospect of strangers listening into their private conversations, no matter how mundane. Now we find ourselves just hoping that our convenient devices haven’t caught anything too embarrassing. This sets an unsettling precedent, and one we need to take more seriously.